Double sided glue dabs are approximately 3/8 inch in diameter and 1/16 inch thick. These tiny dots of glue come in a convenient dispenser box. 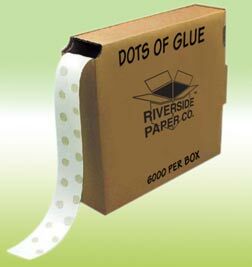 Each roll holds 6,000 adhesive dots.